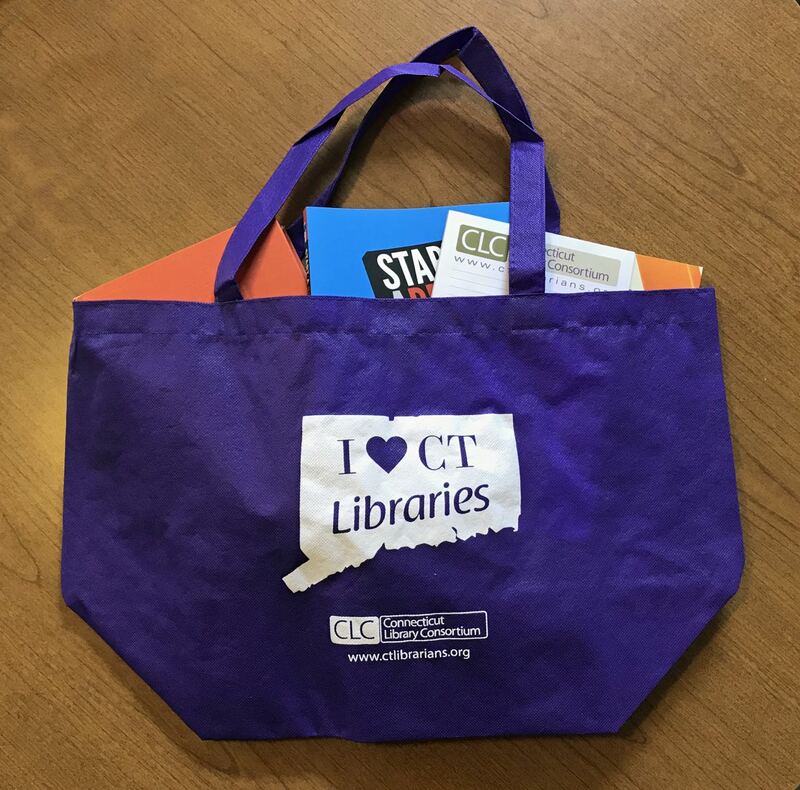 "I Love Connecticut Libraries" Bags - Help your patrons/students/volunteers carry their materials AND show their love for Connecticut libraries! 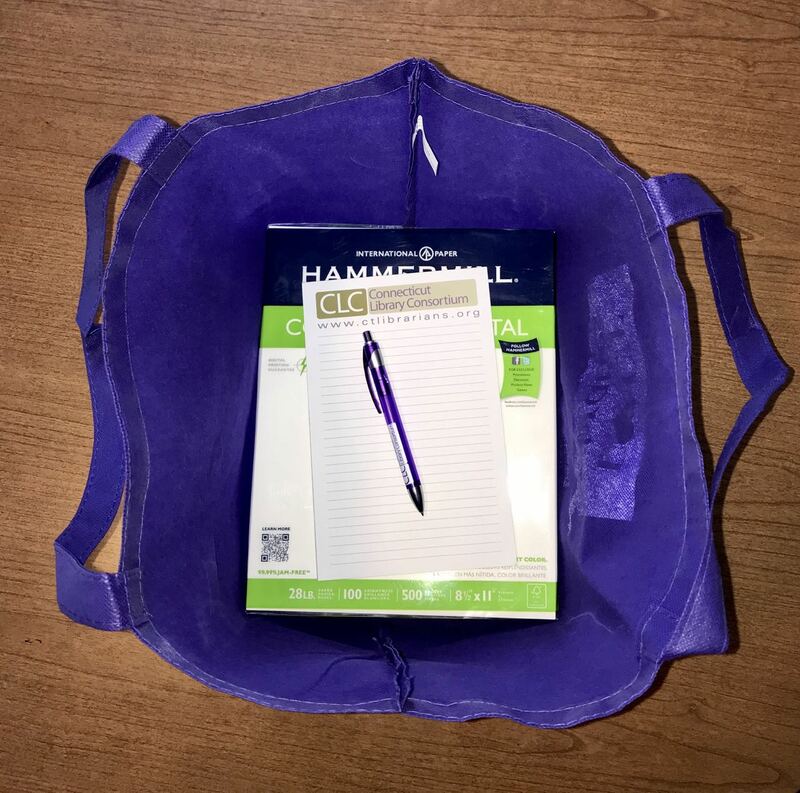 Our cheerful, lightweight bags make great resale or giveaway items. Or package them with a treat, gift card, or book for a thoughtful recognition gift for volunteers and students! 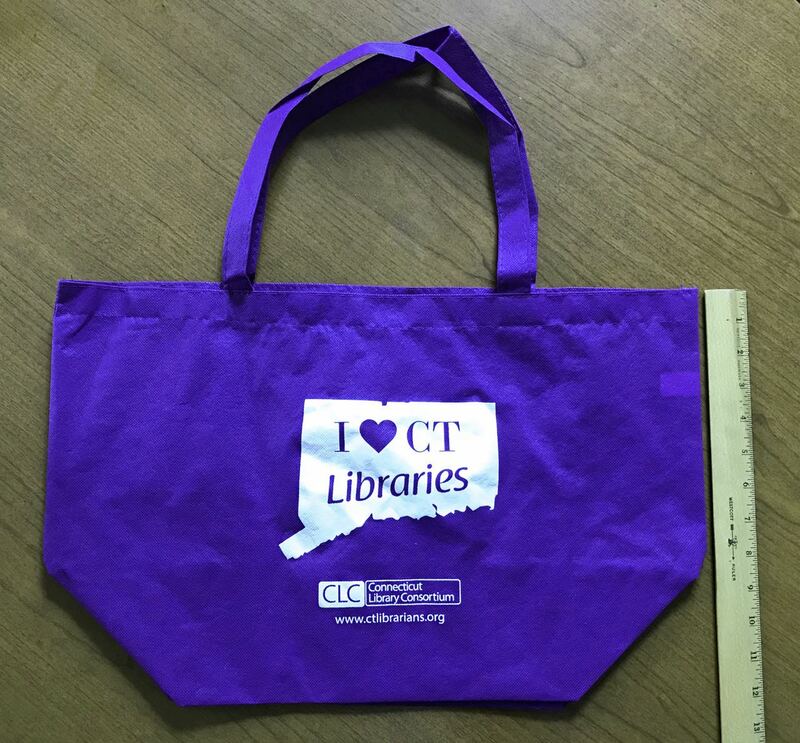 To order: Email number of bags, pick up/ship, and contact information to CLC at accounting@ctlibrarians.org. CLC will invoice your library.